Last Saturday the Club saw this year’s first outing of the Cambridge University Ladies against the CURTC. First up was Venetia D’Arcy against Linda Fairbrother. Venetia put up a fierce fight in this low handicap opener taking an early lead in each of the first two sets; however, after a series of well-fought and valiantly defended rallies, Linda’s return to form gave her the edge and she won the third set and the match. 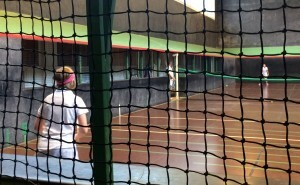 Next up was Vix Harvey against Jonathan Spence. 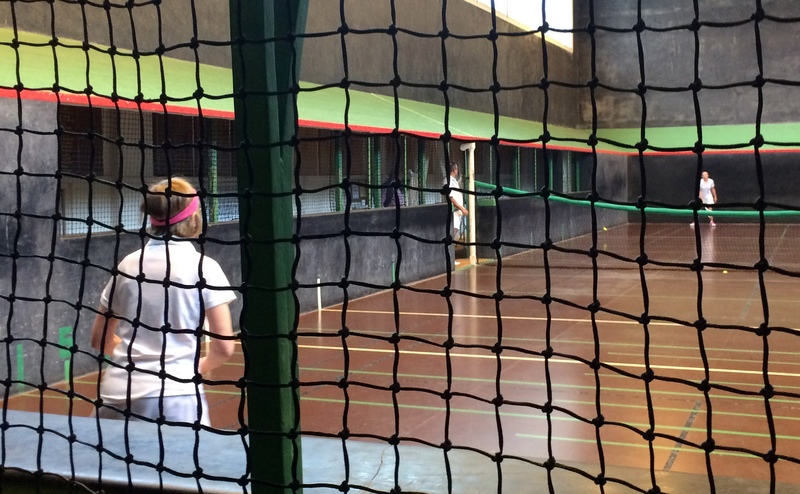 Vix’s first match for the CU Ladies squad resulted in a score that showed Jonathan’s superior match experience. Whilst Vix fought hard she was always under a great deal of pressure, which was caused by Jonathan’s controlled game. Fortified by a quick lunch, however, Emily Chadwick took on Jeannette Mills. The first set was very close from the start; then towards the end of the first set, Emily returned to the standard she played at prior to her year away and was unstoppable. 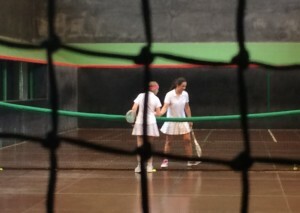 Jeanette’s first match representing the Club must be seen as a success but the match went to Emily in straight sets. Buoyed up by Emily’s win, lacrosse star Mia Lewis took on the boss’s daughter Nina Ludekens. The players were well matched technically, but Mia’s greater strength showed in the big points, when she forced for the Dedans with power and accuracy resulting in a two-set victory. Thankfully, Karen Pearce (injured after a recent bout with Ed Kay and therefore unable to play herself) had left her ladies squad an excellent bottle of white, which was welcomed by all those in need of a pick-me-up at the end of the day.